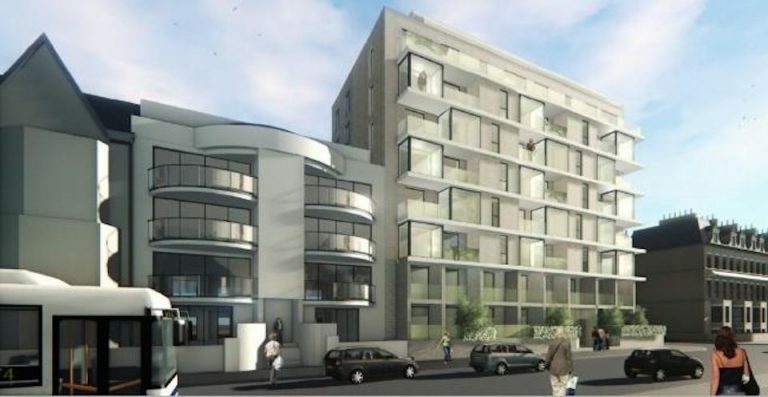 Brighton and Hove City Council has approved an application for a development on the site of Court Farm, which lies to the North East of Toads Hole Valley, where a larger development is planned. Court Farm lies close to the roundabout at the top of George VI Avenue. ...continue reading "Court Farm"
Is Brighton and Hove grinding to a standstill? RS committee member Delia Forester considers the slow rate at which development is moving, and weighs up the pros and cons. 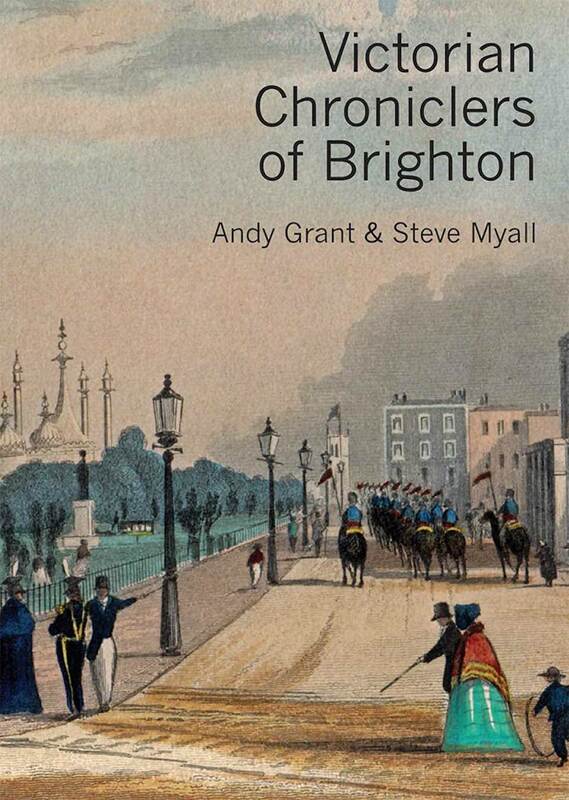 ...continue reading "Is Brighton and Hove grinding to a standstill?" 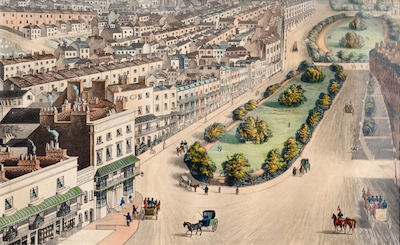 The Brighton Old Town Conservation Area includes the medieval fishing town area bounded by North Street, West Street, East Street and the seafront. The Old Town Conservation Area was first designated in 1973 and extended in 1977. Somewhat surprisingly a Character Statement for the area has never been produced by the council. The Old Town was recently included on Historic England’s Heritage at Risk Register. Their reasons include vacant historic landmark buildings, the weight of traffic on Kings Road (which creates a barrier to the seafront) and poorly designed shop fronts. ...continue reading "Old Town Conservation Area Character Statement"
The University of Brighton Moulsecoomb campus along the Lewes Road presently lacks a visible sense of place, scattered as it is across a nearly pedestrian-impenetrable road with random buildings that have little relationship to one another. Planning intentions aim to transform the area. Committee members were invited to a presentation to learn more. ...continue reading "Preston Barracks Proposed Improvements"
Derelict since 1988, 9-storey Anston House has been named “the ugliest building in Sussex” and has been subject to 8 different planning applications in recent years. Now its site together with vacant land alonside on Preston Road is the subject of a new proposal by First Base and Hyde Housing, designed by Conran and Partners and Nicholas Dexter Studio. It would contain 229 affordable homes, workspace for 283 jobs in new worspaces and public space. The proposed building is of varying height up to 15 storeys. Unlike a previous plan rejected in 2013, this proposal's highest elements are set back from the boundary of the site. The committee is keen to see a successful outcome for this blighted site and will be discussing this proposal in August 2016. You can see the plans by clicking here and entering the application no BH2016/02499. A new vision for Madeira Terraces? The Council has recently announced a new proposal for Madeira Terraces including self contained serviced glass fronted units within the terraces so that the spaces can be leased or rented as cafes, shops and other businesses. It hopes to completely replace the existing ironwork. The project is likely to cost £20 to £30 million, for which the Council will seek grants and loans. We welcome the principle of these proposals but await further detail to allay concerns about the replacement of the existing ironwork. Similar structures have suffered serious problems with damp penetration. We would also like to know more about the way the new structure will relate socially to the sea-front. ...continue reading "A new vision for Madeira Terraces?" The 1888 Shelter Hall, originally constructed to allow the public to shelter from the rain, needs to be rebuilt in order to prevent Kings Road from collapsing. Directly beneath the junction of West Street and Kings Road, it is holding up one of the busiest junctions in the City (36,000 vehicles pass through it each day). It is badly corroded and currently held up by internal props. A government grant is in place for its complete replacement, enabling improvements to the road junction at the same time. The intention is to rebuild the Shelter Hall nearer the sea to allow these to take place. The plans include a new retaining wall with foundations several metres below the beach and a remodelled lower promenade. A new mezzanine floor is to be included along with a rotunda above. The scheme also includes new public toilets and a new walkway to the beach. The society welcomes the development. We suggest some public seating around the new building on the upper level and a public lift between the upper and lower promenades. We also suggest that the decorative mouldings on the southern façade of the existing building should be re-used on the new building, or facsimiles created if that is not feasible. The council is currently seeking comments on the scoping document for the City Plan Part 2. This follows and adds detail to Part 1 of the Plan, published in March this year, which sets out the strategic policy framework for the Council until 2030. We have commented on 3 topics in the scoping document for the City Plan part 2: Housing, Design and Student Housing. Read our comments here. The Council is planning to create a new conference and events centre at Black Rock. The plan is for Churchill Square shopping centre to be extended to occupy the site of the current Brighton Centre, which would be replaced by the new facility at Black Rock. This proposal took a step forward at the Policy and Resources Committee meeting on 28 April where it received cross party support. 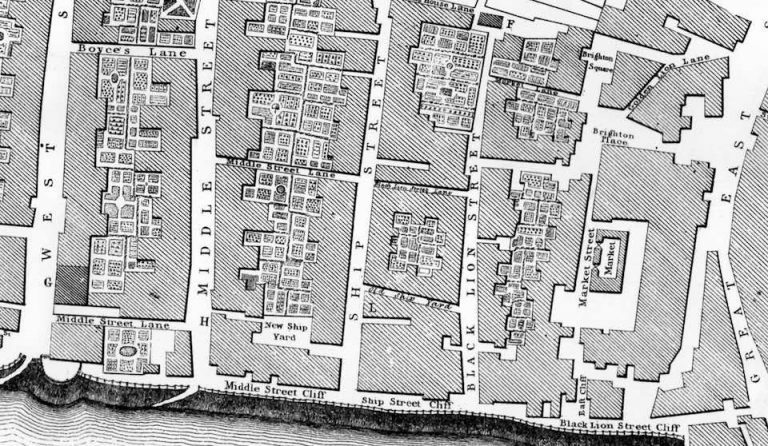 We are concerned about the possible impact of the new centre on heritage, and the capacity of the Black Rock site for such a large venue. The transport infrastructure is another worry if thousands of people are likely to be attending major events. We will keep a close eye on this story and report as soon as there is more to tell.